Mercury pollution is a severe global environmental and human health problem. The spread – and use – of mercury undermines efforts to improve health conditions in communities. Many instruments used in hospitals, health care facilities and laboratories contain mercury. The substance is commonly found in thermometers, and blood pressure measuring device. Tools used in construction and the households such as thermostats, pressure gauges, and switches may also contain mercury. Mercury may be released from these and other similar products, as no device is 100% failure-proof. Substances such as fixatives, preservatives, lab chemicals, cleaners, and other products may have mercury added deliberately. When discarded inappropriately, mercury always contaminates the environment. Even small doses of chemicals can cause disease — interfering with sexual development, disrupting hormones and causing cancer at very low levels. Children and developing babies are most vulnerable. Hundreds of synthetic chemicals are found in human breast milk and in the cord blood of babies in the womb. Chemicals can act like drugs in our body, disrupting systems at low levels of exposure, and potentially causing harm in combination. As chemical use has grown in industrialized societies, so have chemical-related diseases, including cancer, asthma, birth defects, developmental disabilities, autism, endometriosis and infertility. Mounting scientific evidence links the incidence of these diseases in part to environmental toxicants. Due to these trends, Health Care Without Harm is working with health care institutions around the world to reduce their use of hazardous chemicals and products, and to implement policies that drive the market toward safer alternatives. Discarding mercury quickly, without inappropriate processing, provides only temporary peace of mind. We may not see it, but the hazards are definitely present. At room temperature, significant amounts of mercury can turn into gas. Exposed workers or patients may get exposed to highly toxic fumes. Discarded mercury pollutes the global environment, affecting bodies of water and the organisms inhabiting them. Mercury that contaminates bodies of water and moist earth will turn into highly toxic organic mercury. Even small amount of this substance will harm the brain, and the rest of the nervous system. Organic mercury also accumulates in the bodies of exposed animals. Health care is a considerable source of mercury pollution. The United Nations Environment Program identifies certain health care-related products and procedures as "important sources of anthropogenic releases" of mercury. These include fluorescent lamps, manometers, thermometers, and other instruments; dental amalgam fillings; waste treatment and incineration of products containing mercury; landfills; and cremation. Other sources of mercury pollution include coal emissions from plant emissions, mercury cell chlor-alkali processing facilities, along with artisanal and industrial gold mining. The World Health Organization (WHO) and United Nations Environment Program (UNEP) both recognize that mercury is a serious global environmental and human health problem. The UNEP Governing Council, representing all UN represented countries, made reducing methyl mercury accumulation in the global environment a major global priority. Fortunately, there are safe, cost-effective non-mercury alternatives for nearly all health care processes that use the harmful element. The WHO and Health Care Without Harm have launched a global initiative to eliminate most mercury usage in health care within a decade. Health Care Without Harm and the World Health Organization are co-leading a global initiative to replace most mercury-based thermometers and sphygmomanometers by 2020. The organizations are also proposing safe, accurate, and economically viable alternatives for mercury-based medical devices. The initiative is based on a 2005 WHO policy paper calling for short, medium and long-term steps towards the gradual substitution of mercury-based medical devices. The policy paper was grounded in Health Care Without Harm's over ten years of experience working with the health care sector, national governments and intergovernmental organizations around the world to implement mercury substitution. The campaign is also a component of the UN Environment Program's (UNEP) Mercury Products Partnership, which is led by the US Environmental Protection Agency. This broadened UNEP Products Partnership seeks actions to eliminate mercury in everyday products such as batteries, lighting fixtures, electrical and electronic devices, dental products, and measuring and control devices. Diminish the demand for mercury-containing fever thermometers and sphygmomanometers by at least 70% by 2017. Shift the production of all mercury-containing fever thermometers and sphygmomanometers to accurate, affordable, and safer non-mercury alternatives. The UNEP Products Partnership is in turn part of a larger global effort to address the toxic environmental and health impacts of mercury pollution. This effort consists of a series of other voluntary partnerships in areas of major mercury emissions such as chlor-alkali production, artisanal gold mining, coal-fired power plants, and mercury waste management. UNEP has also been tasked by the world's governments to explore the establishment of an international, legally-binding agreement to address mercury pollution. For more information on the global initiative, go to: http://www.mercuryfreehealthcare.org. •World's Governments sign Mercury Treaty - Mercury Free Health Care by 2020. •The World Health Organization issued a policy paper in 2005 calling for short, medium and long-term measures to substitute mercury-based medical devices with safer alternatives. •The World Medical Association passed a resolution in 2008 calling for the substitution of mercury-based medical devices with safer alternatives. 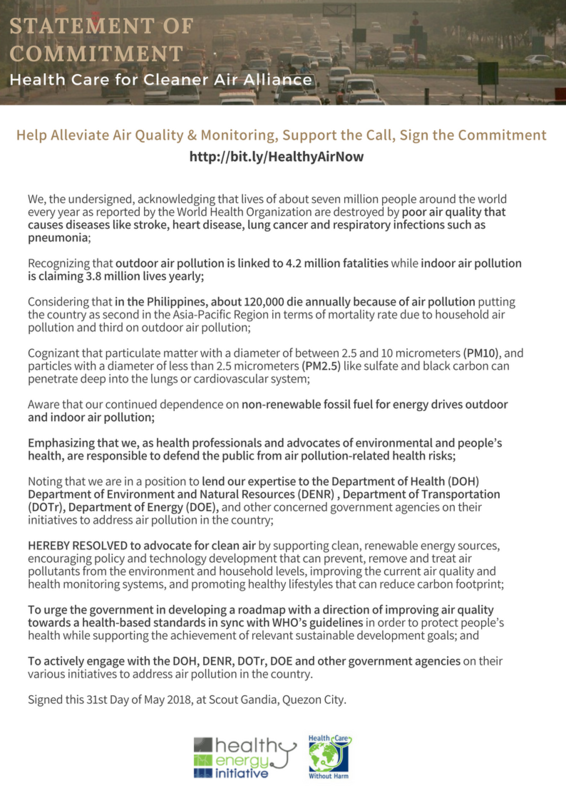 •The Philippine Department of Health (DOH) issued Administrative Order 2008-0021 in 2008 calling for the phase-out of mercury based medical devices across the country by 2010. •The Philippine Health Insurance Corporation (PhilHealth) revised its accreditation policy and ordered non-accreditation of non mercury-free hospitals. •The Philippine Department of Interior and Local Government (DILG) issued Memorandum Circular 2010-140 enjoining all provincial governors, city mayors, municipal mayors, DILG regional directors, and other concerned, to ensure compliance to the Department of Health AO 21 mandating gradual phase-out of mercury-containing devices in all Philippine health care facilities and institutions. •The city government of Delhi, India, is developing a plan to phase out mercury-based medical devices (pdf) in hospitals under its jurisdiction. 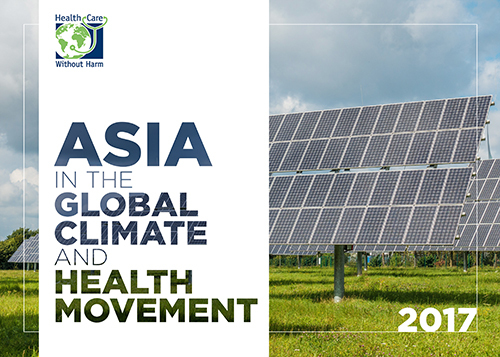 •In the Philippines, more than 600 hospitals are moving toward mercury free health care. 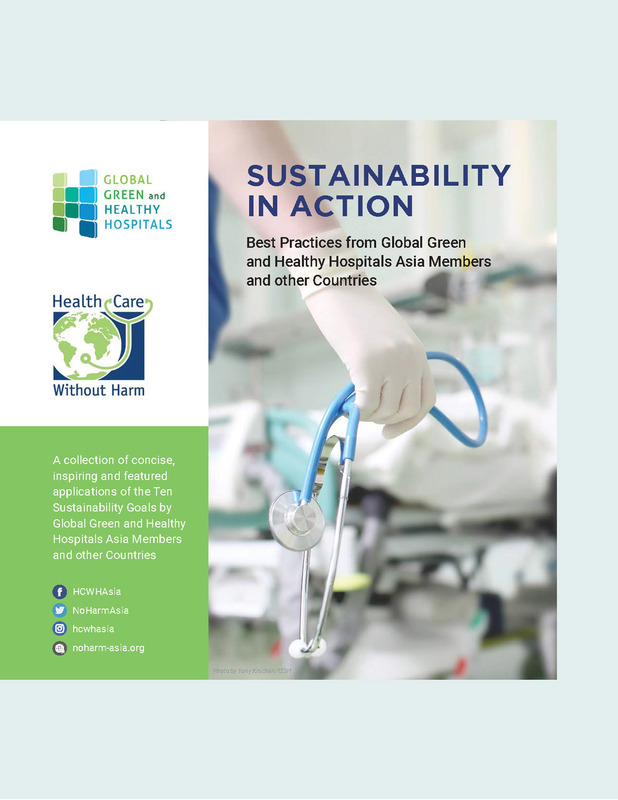 •Fifteen hospitals, three medical universities, two non-government organizations, a national medical association, and a local and environment and natural resources office have signed HCWH-Asia Mercury Watch Campaign for 2010 mercury-free Philippines health care. The support statement is also demanding the Department of Environment and Natural Resources (DENR) to provide storage for the mercury-containing devices that will be taken out of the hospitals. •Two hospitals in China are taking the first steps toward mercury substitution in their country. •In India more than a dozen hospitals have piloted mercury-free health care. For More Information see the Global Movement for Mercury-Free Health Care. Some medical professionals still consider mercury-based devices such as thermometers and blood pressure measuring device to be more accurate than their digital counterparts. This is in light of peer-reviewed studies that show the mercury bias to have no real scientific bearing. The mercury-filled glass thermometer, though easily and frequently broken, is one of the simplest and most widely used diagnostic tools. Because of this, it was the first clinical mercury device to be evaluated for accuracy in comparison to a growing number of available alternatives. After some debate in the 90s, Leick-Rude and Bloom, during routine accuracy testing in a study, reported that 25% of the glass/mercury thermometers tested differed from the reference thermometer by more than 0.2 degrees Centigrade. This finding was consistent with the authors' review of prior work. In addition to this, another recent study rejected 28% of glass/mercury thermometers due to inaccuracy. Digital thermometers, the most commonly used mercury-free temperature measuring device, uses a highlight sensitive thermistor to convert temperature into a known electrical signals. As with most products (both with and without mercury), their accuracy is dependent on manufacturing quality and techniques. Standards organizations such as the ASTM International laid-out protocols that will help the health care community spot accurate alternatives. It’s important for the health care community and governments to ensure that thermometers are purchased from brands that follow manufacturing standards, and have been independently certified by ASTM or other internationally established standards organizations. Sphygmomanometers use the most amount of mercury in current medical use. Much like thermometers, mercury-based and non-mercury blood pressure devices provide accurate measurement as long as the instruments are properly calibrated. Studies conclude that whether a sphygmomanometers is digital or not has no real bearing on its accuracy. A study at the Mayo Clinic in the US concluded that aneroid sphygmomanometers provide accurate pressure measurements when a proper maintenance protocol is followed. Maintenance and calibration are key factors that affected the instrument’s accuracy. Some experts have argued that for accurate blood pressure measurement, the reference device used for calibration must be a mercury-based blood pressure device (with a typical error of + / - 3mm of mercury). But when calibrating a device the error of the reference pressure should be added to the specified accuracy of the instrument under test (+ / - 3 mm Hg), to determine the working accuracy of a calibration set-up. As a result, when using a manometer (mercury column or aneroid gauge) rated at ±3.0 mm Hg as a reference, one will be able to determine the accuracy of the gauge being tested to only ±6.0 mm Hg. This is outside the range of + / - 5mm typically desired by medical professionals. Many facilities and device manufacturers use devices (e.g., digital pressure standard) rated at ±0.1 mm Hg. One will be able to determine the accuracy of the gauge being tested to within ±3.1 mm Hg. This has been well documented to be far less than the inter- or intra-provider differences on multiple readings. A U.S. study from 2003 concluded that "research on sphygmomanometers suggests that there are numerous good alternatives to mercury sphygmomanometers. Aneroid sphygmomanometers are cost competitive, have a long history in the field, and have been found acceptable by many hospitals." In a UK study, an aneroid device achieved an A grade for both systolic and diastolic pressures and met the requirements of the Association for the Advancement of Medical Instrumentation. The conclusion was that the aneroid device could be recommended for use in an adult population. The UK Medicines and Healthcare Products Regulatory Agency (MHRA) states that aneroid and mercury sphygmomanometers both need to be checked regularly to avoid errors in blood pressure measurement. The British Hypertension Society recommends testing every six to 12 months. Frequently lost in the discussion over device accuracy, but equally important, is the issue of measurement technique. A 2002 Working Meeting on blood pressure measurement in the United States highlighted numerous studies that found that basic measurement technique, inappropriate cuff size were providing significant errors in measurement. Switching to mercury-free sphygmomanometers in clinical settings has not hampered clinical diagnosis and monitoring in Sweden or Brazil. The Swedish government, in fact, has completely eliminated the use of mercury column sphygmomanometers. After considering the scientific evidence, a report produced in 2005 by the World Health Organization (WHO) department addressing cardiovascular diseases concluded that even in low resource settings, "in light of the toxicity of mercury, it is recommended that mercury blood pressure measuring devices be gradually phased out in favor of affordable, validated, professional electronic devices." While attempting to substitute mercury-containing sphygmomanometers, several hospitals in developing countries need to avoid digital devices of poor quality. As an attempt to overcome this challenge, HCWH-Asia provides information on how to spot devices that meet the criteria of professional organizations such as the British Hypertension Society, the European Hypertension Society and the Association for the Advancement of Medical Instrumentation. The British Hypertension Society (BHS) has created a list of vendors of sphygmomanometers that have met the BHS criteria and are suitable for clinical practice. This information has been posted on their web site. The above cited WHO report points out that "international protocols for blood pressure measuring device validation have been released by the Association for the Advancement of Medical Instrumentation, the British Hypertension Society, and the European Society of Hypertension Working Group on Blood Pressure Measurement." 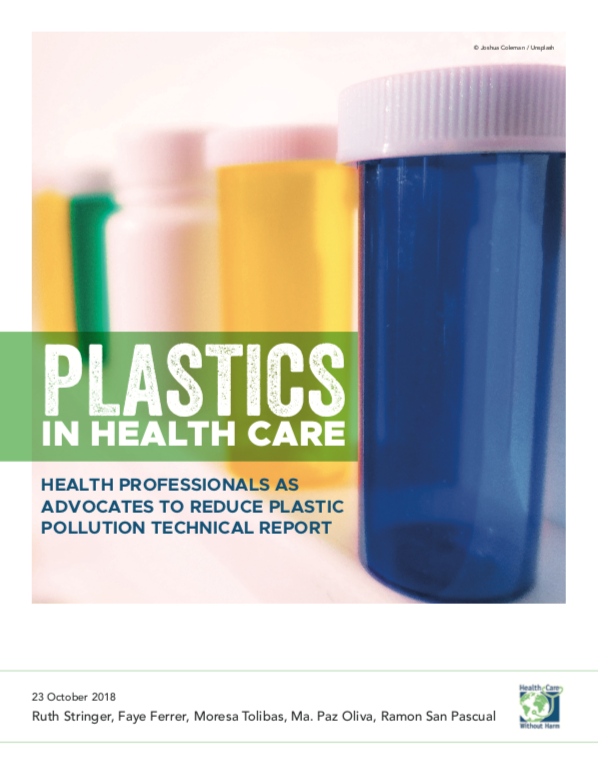 Many health care practitioners are concerned about the availability of alternatives to mercury-based instruments. The fact is, mercury-free thermometers and sphygmomanometers are easily available from major medical equipment suppliers who service both local and global markets. Affordability remains a large hurdle, especially since some health institutions may not realize that mercury pollution exacts a toll and becomes a financial burden in the long run. It’s the classic case of being pennywise and pound foolish. From a developing economy's perspective, these costs must be taken into account during national strategic planning. In countries such as the United States, where market demand for mercury alternatives is rising, a mercury-free purchasing policy has become economically sound. In a study done by Kaiser Permanente, the largest not-for-profit Health Maintenance Organization (HMO) in the United States, it was determined that when associated lifecycle costs are included (compliance, liability, training, etc.) the total cost per unit of an aneroid sphygmomanometer is about 1/3 that of a mercury-containing device. Mercury-containing devices are no longer being purchased by Kaiser Permanente. Yet in the global market, mercury-based medical devices are still significantly less expensive than their digital or aneroid counterparts. In the absence of strict environmental health regulations, and with limited health care budgets, many health care systems and hospitals today still face the challenge of deciding between a mercury device and its alternative. Those facilities with limited budgets have been able to successfully avoid this roadblock through operational strategies. For example, when planning future budgets, hospitals must count the frequent mercury thermometer breakages as a cost center, while comparing it to the cost-effectiveness of digital options. Frequently, the additive cost is comparable to the replacement cost of the mercury thermometers, as the alternatives are typically more durable. Mercury waste isn’t like conventional forms of garbage. You can’t just sweep mercury under the carpet, or toss it into the nearest dump. Dispose mercury without proper processing, and you risk having the chemical seep into the surrounding environment. Communities in developing countries face the challenge of dealing with mercury waste, despite the lack of proper infrastructure. Though often ineffective, this mercury is typically expected to be collected, and recycled into new products. It’s a sharp contrast to most industrialized countries, which have been able to develop policies, regulations and infrastructure to prevent mercury and mercury-containing devices from entering the environment through solid waste and wastewater. Developed countries such as the United States and the European Union have enacted measures to ban the export of mercury to other countries. In the long term, strategies for controlling the global spread of mercury are essential. Nations such as Germany, UK, US, Norway and Spain have likewise created storage for phased-out mercury. Such facility is accompanied by guidelines and regulations which conform to the highest and most consolidated experience for mercury storage. In 2011, WHO issued guidelines for the Replacement of mercury thermometers and sphygmomanometers in health care. For example, a health care facility or local health department can develop a program which includes simple onsite storage of mercury containing wastes in sealed steel drums. These drums would likely need to be secured to prevent theft vandalism, and placed on concrete pads in the event of a spill. Such low-tech solutions are used in industrialized countries as well. For instance, the US Department of Defense maintains a supply of elemental mercury in a similar fashion. As more and more laws banning mercury product get passed in wealthier countries, these nations face the challenge of getting rid of their existing mercury inventory. Sadly, these stocks are usually sold to Asian countries. This practice will likely add challenges to mercury reduction programs in the region. This is an alarming trend, and calls for greater controls on trade, including export and import bans on mercury. In the long term, strategies for permanent global solutions to processing mercury waste are essential. As an alternative, wealthier countries can develop engineered strategies that prevent mercury from entering the waste stream and environment. These strategies do not need to be expensive or require advanced technology. For example, a health care facility or local health department can develop a program which includes simple onsite storage of mercury containing wastes in sealed steel drums. These drums would likely need to be secured to prevent theft of vandalism, and placed on concrete pads in the event of a spill. Such low-tech solutions are used in industrialized countries as well. For instance, the US Department of Defense maintains a supply of elemental mercury in a similar fashion.